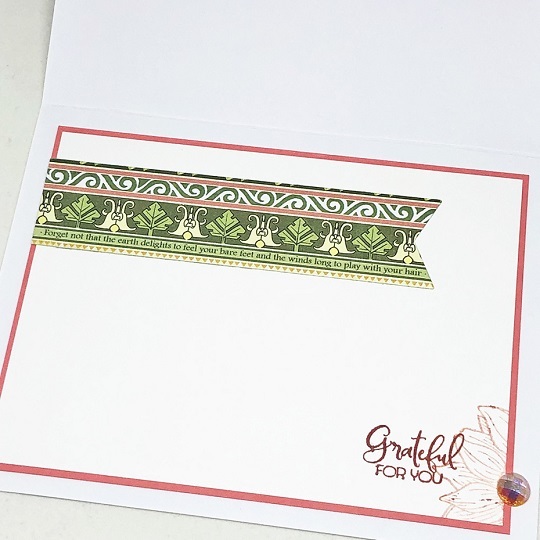 Taking advantage of beautiful papers makes for quick cards with STUNNING results! Note how Deb used our Fishtail Sentiment Banners die on both the card front and the inside. Both sentiments are from our set called A Godly Man. I love when sets work across many lines. This basically masculine set couldn’t be more beautiful on this very feminine card! Here’s a closeup of the floral cluster/sentiment. So pretty which just a touch of sparkle from the gemstone. 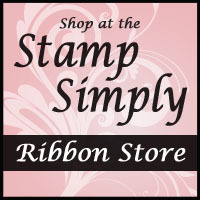 In stock is the 8×8, Ephemera Cards and Chipboard Die Cut Tags. This collection uses some of my favorite colors from Graphic 45. 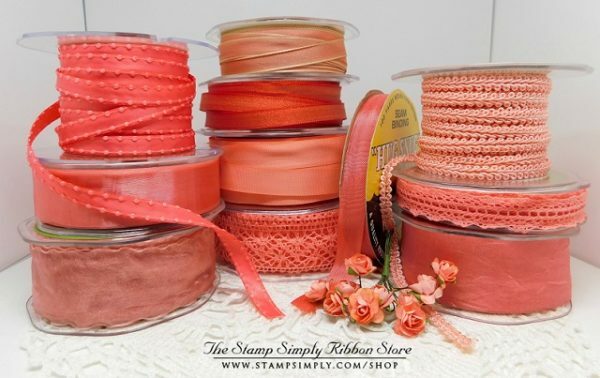 A perfect match to so many of our seam bindings and May Arts silk ribbons as well as our NEW Living Coral Ribbon Sampler. Want us to match some silk or seam binding for you – check out our Personal Ribbon Shopper. 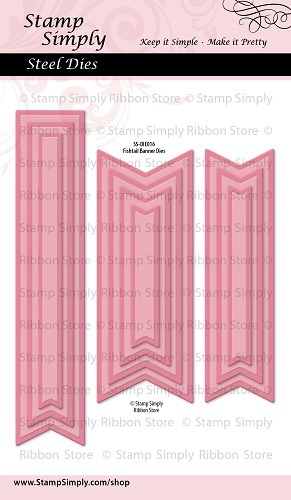 The specific ribbon Deb used today is the 5/8″ Faux Canvas in Salmon. 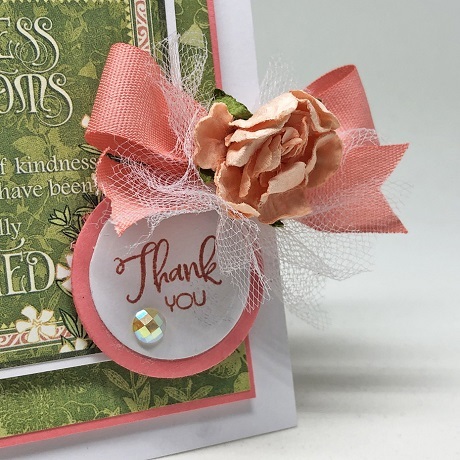 This set contains beautiful verses from scripture and a variety of greetings, which we can see from Deb’s card today work equally as well on cards for either gender – and that pleases me! 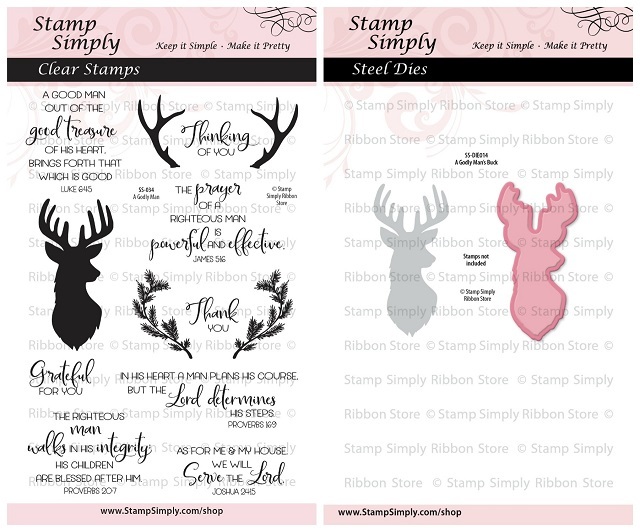 Find ALL Stamp Simply Clear Stamps/Dies. 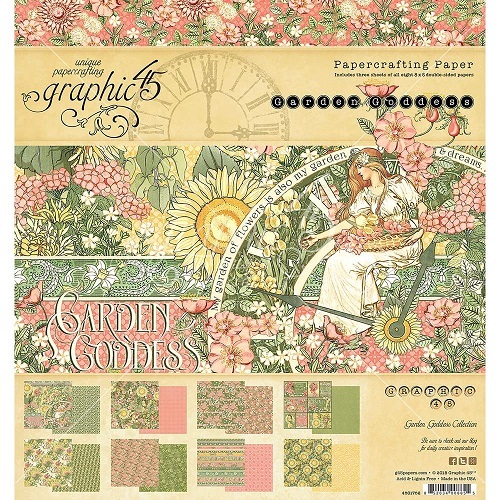 ALL Kaisercraft papers REDUCED – 35%+ OFF. ALL Spellbinders Christmas dies – 40%+ OFF. Have a wonderful day today and new year ahead! Your card is stunning!! I love the detail and the gorgeous colors! !